It should be noted that some episodes of GTCMS are decidedly less innocent. Read the plot synopses before clicking "play" if you're sensitive to that kind of thing. We also took the opportunity to wax creative. 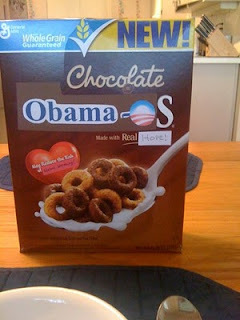 Around the time of the presidential election, my father came up with the idea for Cheerios to market a chocolate Cheerios cereal, and call it the Obama-O (in jest--please don't be offended). So, when we saw a box of chocolate Cheerios at Kroger, we had to show him his dream come to fruition. He loved it, which made our day. This just goes to show you that sometimes, it really is just the little things in life.